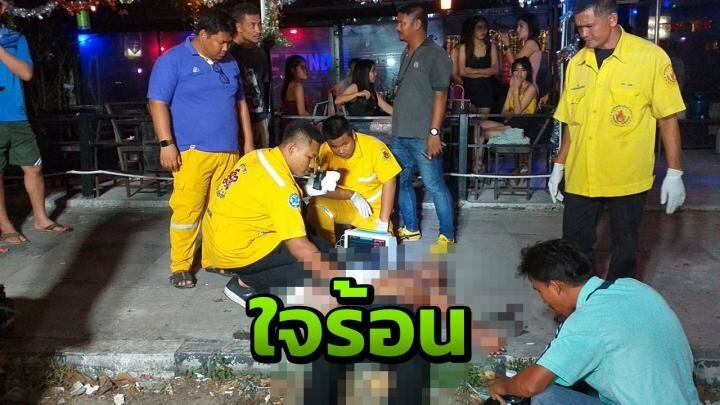 Police were called to a Sri Racha, Chonburi, karaoke lounge last night after a man was stabbed following an altercation in the toilets. Chuchart Kamngern, 39, was found outside the establishment with a serious stab wound to the left side of his chest and was rushed to hospital in Sri Racha. Staff at the lounge on the Nong Khor - Sri Racha Road said that two men had had an argument in the toilets before they went back to sit outside - one at the counter and one in the "VIP" room. Then the man sitting by the counter got a wooden club and went and hit the victim over the head. As staff tried to intervene and the man ran out the assailant produced a knife and stabbed him. The attacker fled the scene and police are now hunting the man responsible. Nice to see the "service girls" in the background showing concern... having just lost two potential customers. karaoke bar my arse ! yeah yeah we get UK is bad with its 719 murders versus thailands 3,000 - 4,000 murders. You missed the thrust of it. It was a comment on the social condition- could have been any given country, I just happen to come from the UK.